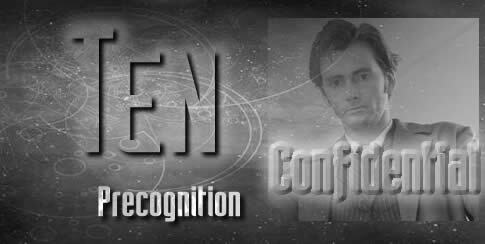 Precognition STARTED as a vague idea about a story surrounding a huge monumental arch that would be destroyed in some way, and The Doctor being upset about that. From that came the idea of a monument to a battle against the Daleks. One that The Doctor had played a part in, but asked for no reward or thanks or recognition. I made it deliberately similar to the Dalek invasion of Earth, but taking place on a different planet, just to show how often The Doctor has had to intervene on behalf of people all over the universe, but without having to show any particular Earth geography or places in the story. 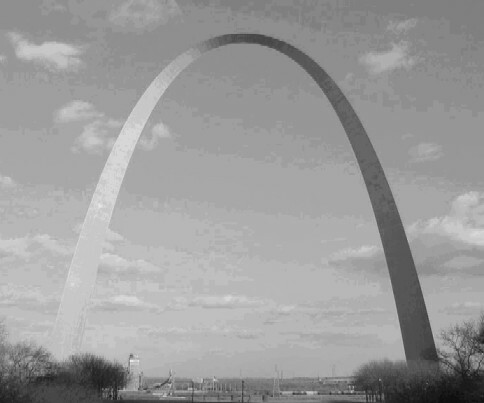 The Arch which I used in the pictures illuatrating the story, however, is the Gateway Arch in St. Louis, Minnesota, UA. From that came the idea that the destroyed arch would be a precognitive vision that The Doctor had for a few seconds before everything would seem normal, but these visions becoming stronger and more frightening as the day progresses. 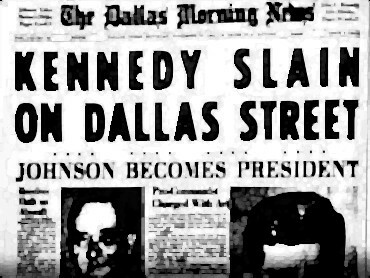 The assassination of Kennedy, Chernobyl and 9/11 as examples of disasters The Doctor might have tried to change stand out in history without having to go into much detail. Most people would recognise the dates and places and not need anything explained. We all have that shared culture that means a few lines like that can conjure up huge amounts of detail in the mind of the reader. 9/11 was a particular case in point, with The Doctor giving L’Evine, the scientist who would not listen to him, a souvenir pen from the New York FBI office. This story shows the TARDIS doing something it had not been seen doing before, tracking back through time ‘manually’ as it were, without being in the vortex, so that time could be seen reversing to the point where the disaster happened. The TARDIS for much of the 26 original seasons, was used mostly just to get from point a to point b, or occasionally lost at point c, d, or z. But fancy flying wasn’t often employed. Since the new series began it HAS been allowed to be a bit more clever. The ‘Speed’ scene with the TARDIS flying along the dual carriageway in pursuit of the taxi was a case in point. This struck me as another function it might perform. The Doctor being able to psychically connect with the TARDIS computer and send a message to his friends was another case in point, though that is probably one of HIS abilities rather than the TARDIS’s. Kidnapping L’Evine and making him see the future is, of course, pretty much what happened in Terminator Two, though as The Doctor said, less of a bloodbath would be preferable.